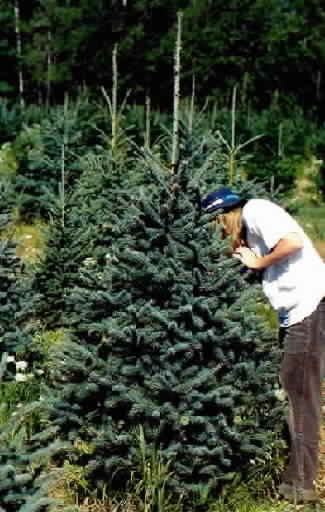 Black Hills Spruce is an extremely hardy pyramidal evergreen which grows well in a wide variety of soils. The black hill is a sub specie of the white spruce. Black Hills is hardy from zone 2-6. 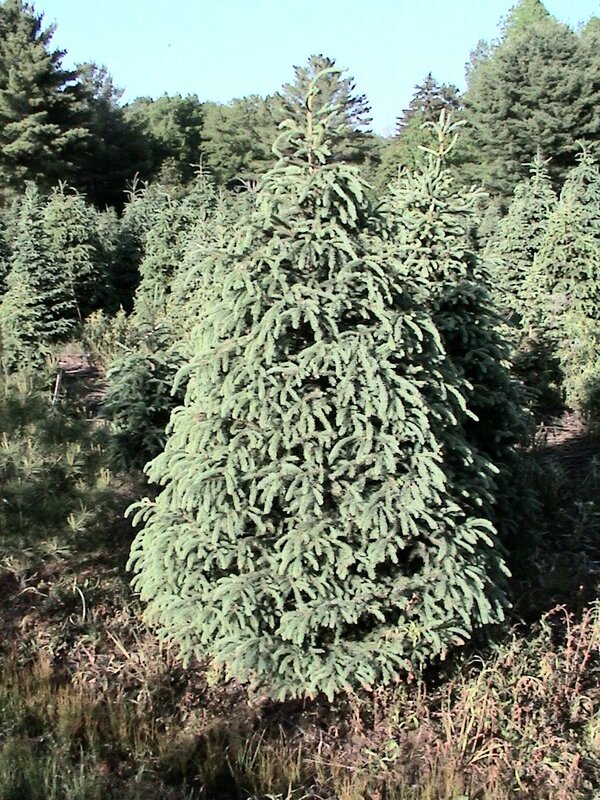 Black Hills Spruce is a medium grower, outpaced by the Norway Spruce but grows faster than a Blue Spruce. Black Hills can be planted as an ornamental, Christmas Tree or a windbreak. Also can be planted en mass. It is said that Black Hills Spruce are salt tolerant. I have seen browning of the needles when planted on the east side of a road treated with salt brine. Though they transplant easily, Black Hills Spruce can be successfully transplanted in mid-summer with rootbags. 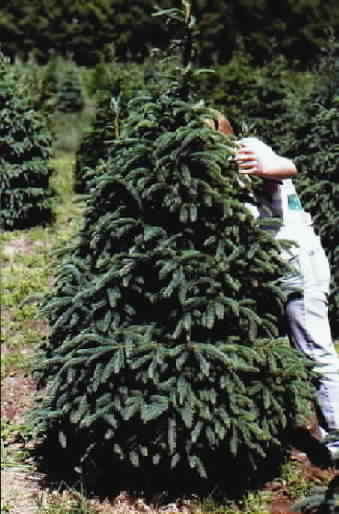 These Black Hill Spruce trees make an excellent choice for Christmas tree and is fast becoming a favorite in the Midwest. They shear well to develop a full tree from a seedling in a short time. Black hill spruce as you might have guessed came from the southwest corner of South Dakota. Not particularly susceptible to bugs and disease Black Hills do get Spruce gall aphids which can be picked off when the tree is a small sapling or can be controlled with a spray applied in early spring. Bagworms and sawflies are sometimes a pest. Needle cast affects black hills as much as other spruces and can be controlled by better air drainage and also by two applications of a fungicide one in the spring and one in July. Black Hills Spruce can grow to 60' and a spread of 25'. 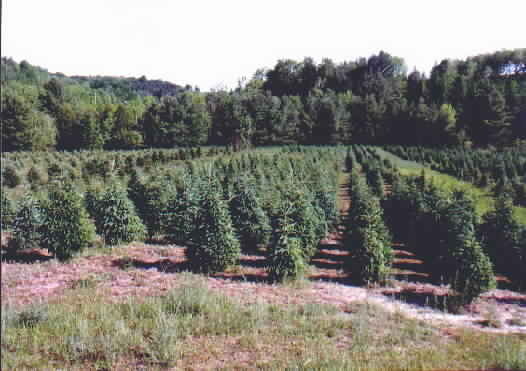 To order Black Hill Spruce seedlings by PHONE: We're glad to take your order by phone @ 231-544-6769. Phone orders can be charged to VISA, American Express or MasterCard accounts.